And finally, you’ve landed in Melbourne, the beautiful tinsel town of Australia! While you’ll be longing to see more of the beautiful city at the earliest, the tough and cumbersome job of unpacking will hold you back. After all, it’s not over until it’s all over.So, here’s a quick guide to help you unpack quickly, efficiently and easily after house moving in Melbourne. • Pen-down an unpacking calendar – It’s not prudent to open and scatter all boxes in one go. This will only add to the clutter and chaos. Instead, create an unpacking calendar and stick to it completely. A box or two every day will help you be sorted within no time. • Prioritize – Set your priorities and work accordingly. Depending upon the occupational significance of each, unpack and set each area. Invariably, the bedroom, bathroom and the kitchen are the first places you should set. • Sort your boxes – Rather than keeping all boxes in a common area, drag them to their designated areas. For instance, keep all kitchen related boxes in the kitchen, bedroom1 boxes in bedroom1, so on and so forth. • Set Your Furniture First – Before you get down to the nitty-gritty, get your basics right. Thus, having your beds, kitchen cabinets, wardrobes, bookshelves and couches in place is the most important thing. Moving heavy items on your own can get difficult. Therefore, seeking help from the professional movers in crucial. Under full-service deals, the house moving in Melbourne will offer your reassembling and rearranging services that will ensure that your furniture items are unloaded and set at the right place so that you do not have to drag and shift thereafter. • Clean-up – Once you are done with unpacking task for the day, clean-up the area and get rid of the packing material properly. A job well-done will give you the motivation to work the next day. • Set mini goals and keep yourself motivated – Set small achievable goals and once accomplished reward yourself to keep up the motivation. 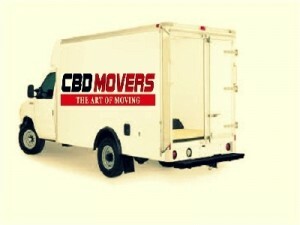 As well-experienced house movers in Melbourne, CBD Movers has helped families and businesses to relocate and settle in Melbourne at the earliest. We have a well-established network and excel in interstate moves. Being the finest Packers and House Movers in Melbourne, we provide end-to-end removal solutions to help you get settled at the earliest. If you too are looking for hassle-free services and unfailing support, call us at 1300223668.